Based up in the Noosa Hinterland, Jon Schultz takes inspiration from his surroundings to create vibrant abstract art. Jon started creating art reproductions from his large scale originals just last year to allow his work to be more accessible to a wider audience and he hasn't looked back - he now sells his prints to customers worldwide! 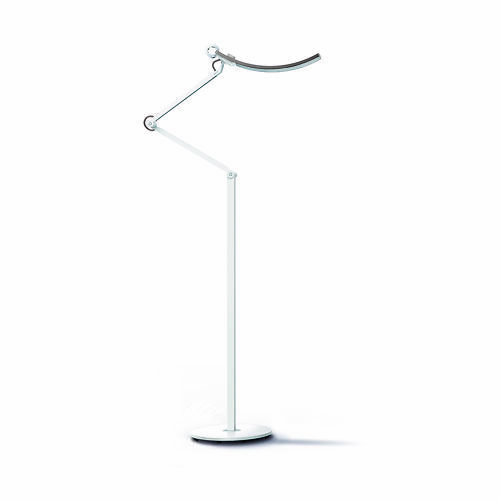 Available in three colours, BenQ's elegant and flexible lamp is great for general purpose and task lighting. Built with ergonomic principles in mind all the way through - featuring flicker free lighting, adjustable colour temperature, and special eye safe LEDs. With a high colour rendering index (> 80) it's even suitable for some colour accurate print viewing purposes, and has a broad, even light that covers around 90cm. 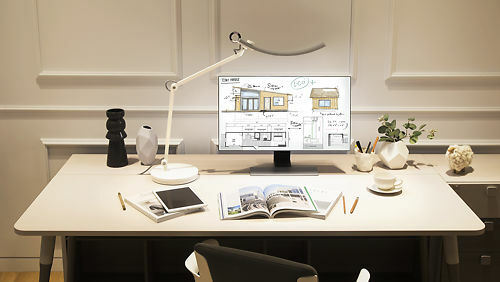 BenQ WiT features Wide lighting up to 90 cm range which is 150% wider than typical lamps; Intelligent control to detect luminance of environment and deliver the best light to balance contrast glare; Tailor-made your own brightness and colour temperature for different scenarios to suit your needs. While reading on screens brings convenience and entertainment, the needs for the right lighting of screen reading have never really been met. Due to the reflection and contrast glare caused by unadjusted lighting causing discomfort for the reader's eyes, BenQ's decided to create an illumination solution that cares about your e-Reading experience. Finally, this diligence effort culminated into one single shape, an ARC which is destined to solve all lighting problems. The smooth and inspiring shape resembles the smile which was one everyone's face at the wrap-up. WiT shapes the smile that you read with. WiT’s uniquely curved shape is the epitome of function merging with aesthetics. Compared with traditional lamps, WiT delivers light evenly across your entire e-Reading area, eliminating the contrast glare and enables the user to flexibly adjust the brightness and colour temperature (2700K-5700K). 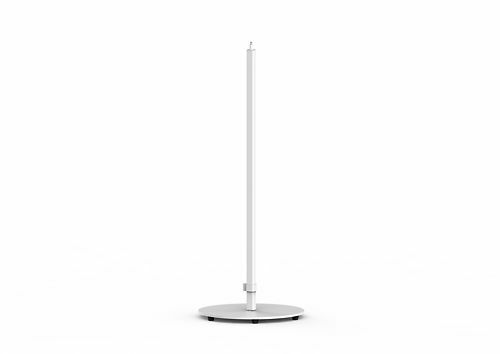 Wider 90cm lighting range, as you want. 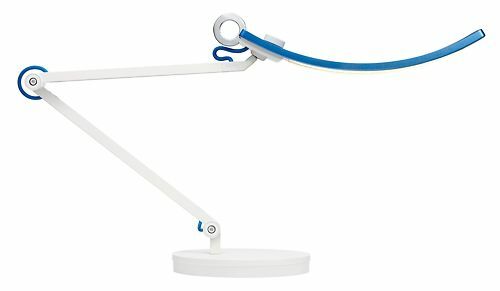 The Smile Curve Technology lights up an expansive 90cm range, 150% wider than typical lamps on the market, as well as achieve the illuminance of 500 lux at the desk. WiT can illuminate your reading world more evenly and with a wider spectrum. Smart e-Reading mode, as you need. With just one touch on the ring to activate the e-Reading mode, the built-in ambient light sensor detects the light of the environment and WiT delivers the patented 'brighter at the sides, darker in the middle' illumination to reduce the contrast glare and the reflection on your screens. Dimmable cool white and warm white, as you wish. Simply turn the rotary knob, so you can easily fine tune the color temperatures and the brightness to suit your reading needs. Go with a cooler temperature for your problem-solving tasks; go with the warmer tones for relaxing. WiT has a ball-joint to optimize the flexibility of the lamp cap and the highly durable torque springs and precise friction control can counter-balance the weight. So you can easily adjust the LED light to the angles that you need. The light cap utilizes the lightweight aluminum alloy to dissipate the heat generated by the LED, thereby extending the lifespan of the LED over typical plastic caps. For torque springs, zinc alloy is used to enhance the stability and durability. All WiT materials meet the restrictions in the EU Directive, RoHS (2002/95/EC). 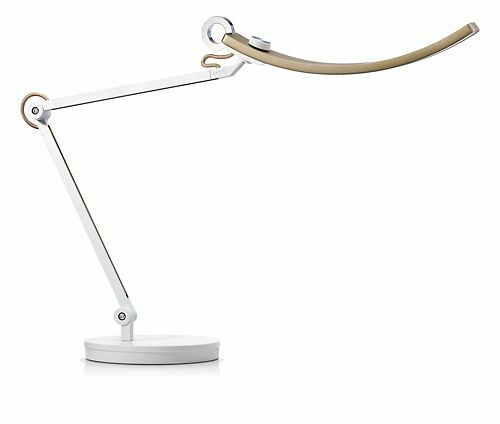 To save up more space, WiT LED desk lamp provides lighting for your home or office workspace with high versatility. Further details here. 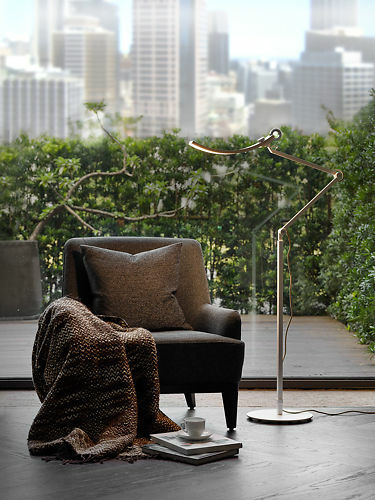 Transform WiT desk lamp into a modern floor lamp to enjoy a joyful reading time in the living room or bedroom. 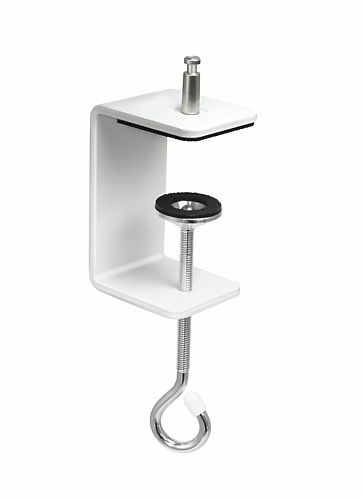 This has a 300mm base and offers a 760mm height extension to the lamp. Further details here. Videos from around the internet about the BenQ WiT e-Reading Designer Lamp. Note we don't produce these so we can't be responsible for the content, but we've tried hard to find useful videos about the product to help you decide if it's right for you and/or use it! WiT- The World's First Lamp Designed for e-Reading. We try very hard to keep these up to date and correct, but if a particular specification is really critical to you, then please double check the specification directly with the manufacturer. A simple rotary dial lets you warm up or cool the light as you desire. By default is an elegant table lamp. 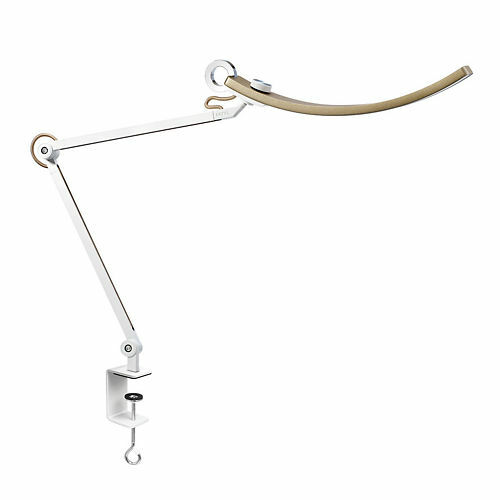 With accessories, you can set up as a floor lamp, or use a clamp to save space or attach firmly. Hand curated articles, links and downloads to help you get the best from your BenQ WiT e-Reading Designer Lamp. When Should I Replace SoLux Bulbs or GrafiLite Tubes? Information on the best time to replace your bulbs and tubes to ensure your colour accurate lighting is still beneficial. An introduction to colour accurate lighting and setting up a print viewing area. 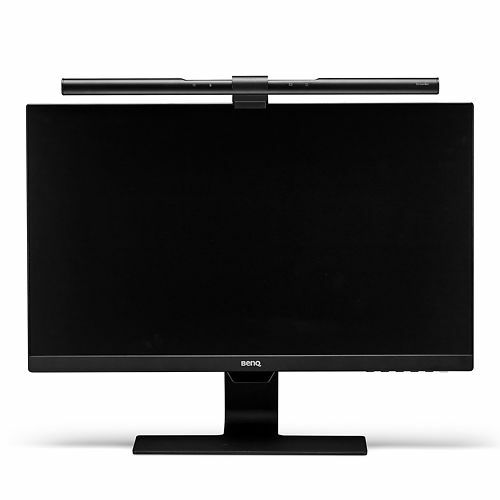 BenQ Lighting products are warranted for a period of 12 months from purchase. The expected lifespan of LED based products is in excess of 30000 hours of usage time. 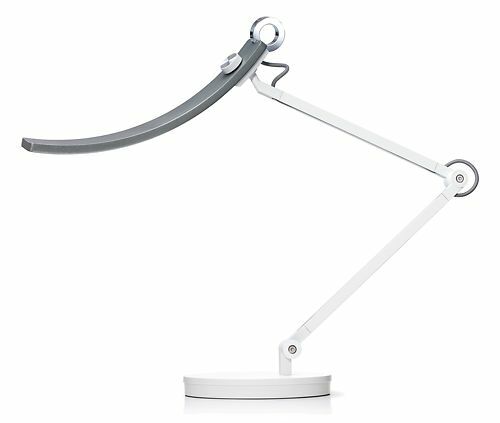 BenQ's ergonomic, eye safe task lamp to light up your working or print viewing areas.